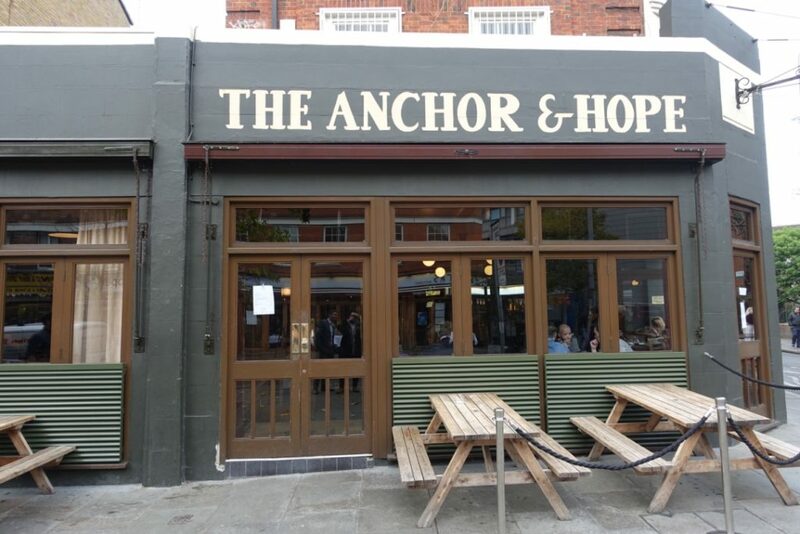 In typical laid-back gastro pub style, The Anchor & Hope has been serving up food since 2003 – there is of course another area where you can grab a pew and drink, wine or beer. Both rooms are painted ox-blood with ivory ceilings that match the pine wood furnishings. The Waterloo long-termer definitely stands out from the limited choices available in the area. 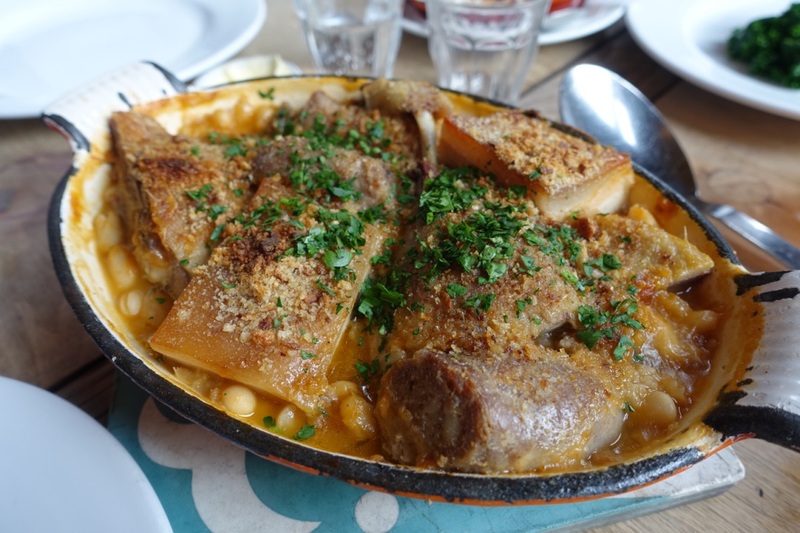 When I heard that they had stellar comforting dishes such as roast dinners and cassoulet, I had to come. 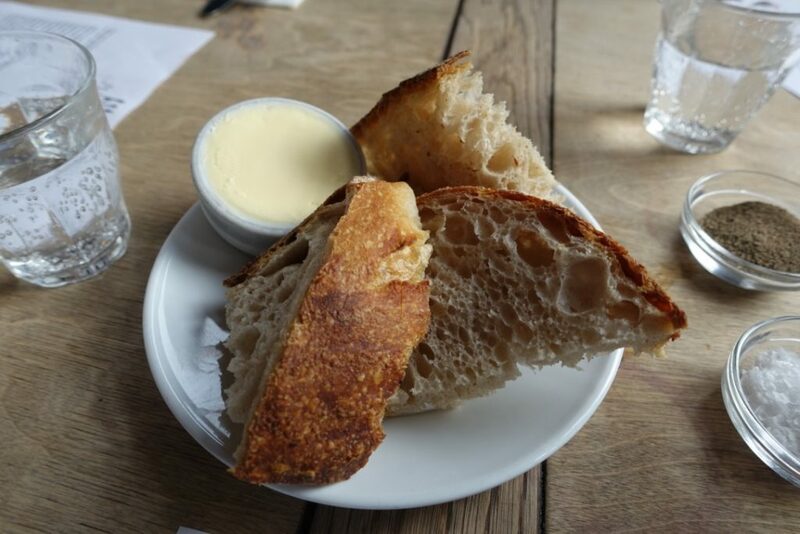 The sour dough came exactly how I like it, crusty exterior, chewy interior. As it should. We’re off to a good start. 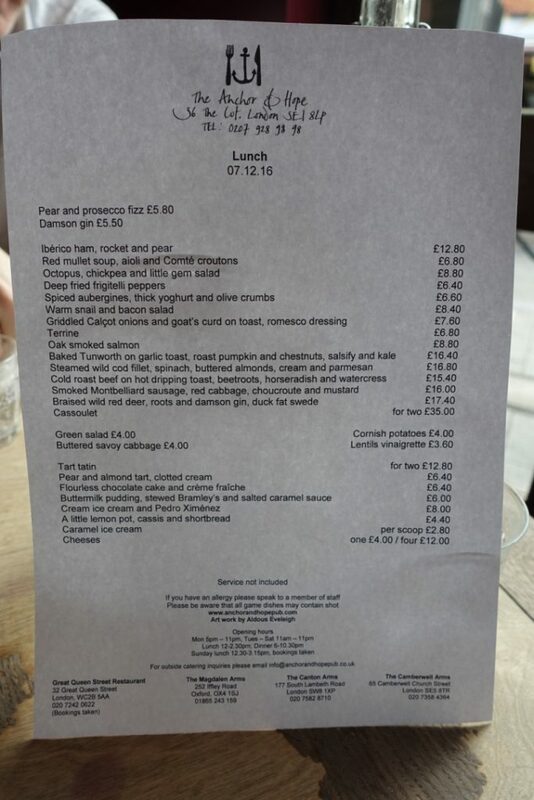 My compadre had the baked Tunworth cheese on garlic toast, roast pumpkin, chestnuts, salsify and kale (£16.40). He was dealt a punchy smell and punchy price for what it was, but he seemed to like it a lot. 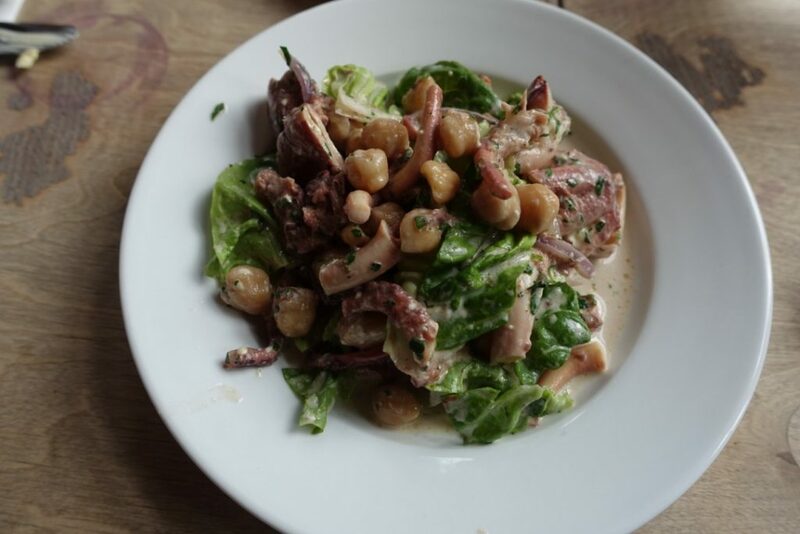 For starters I had the octopus, chickpea and little gem salad (£8.80). 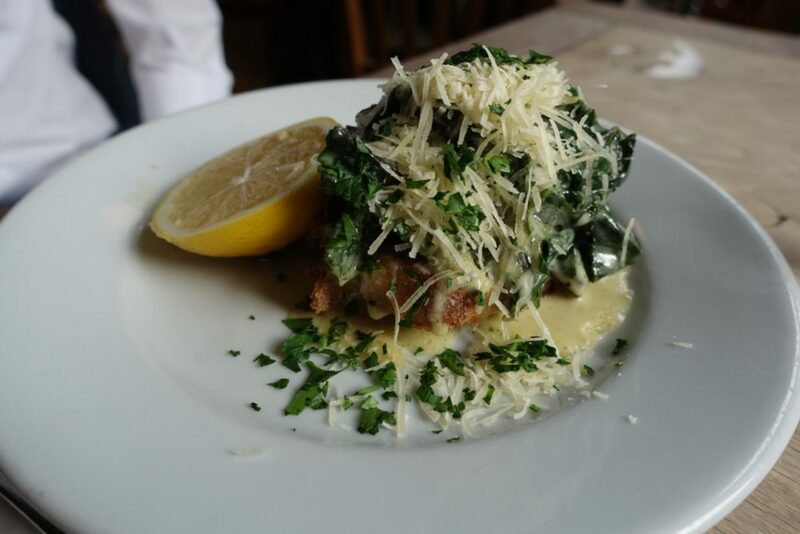 The dish served cold, was pulled together with a creamy sauce punched up with herbs. The briny broth the octopus was cooked in also made an appearance. 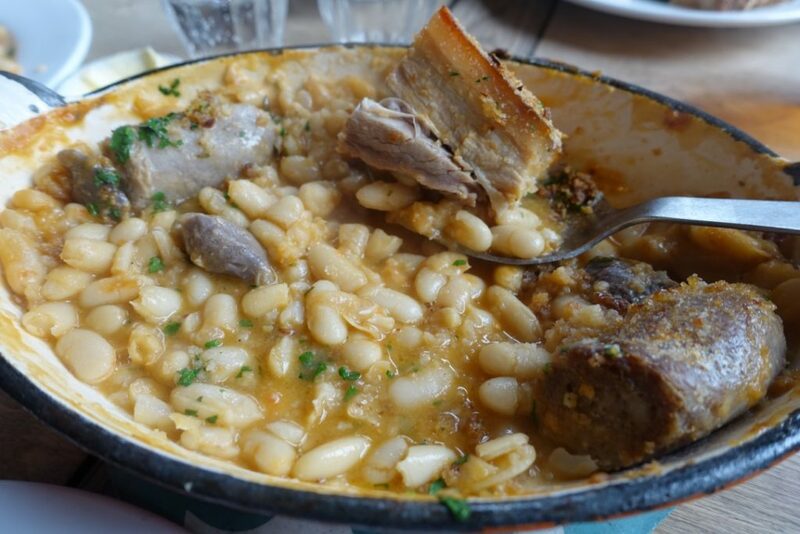 The dish had hearty, home cooked rustic qualities and all the more satisfying for it. 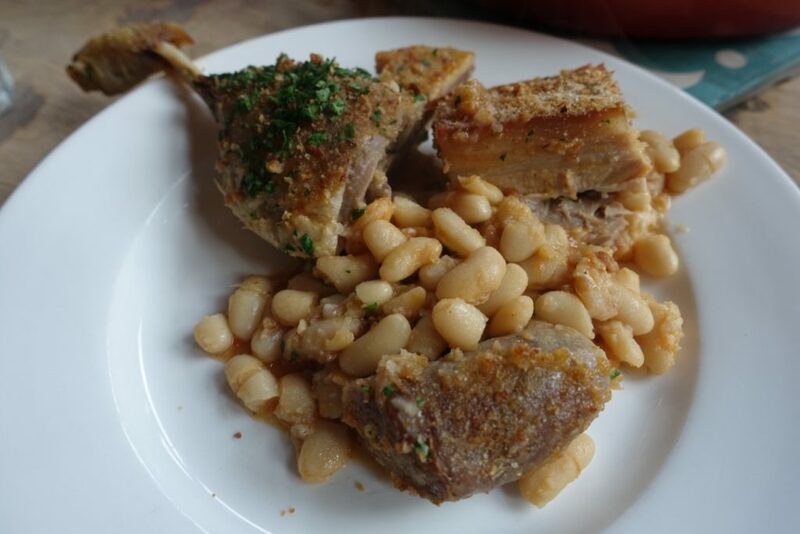 Hunks of pork, confit duck legs, farm-house style sausages, soft beans. So much good stuff. 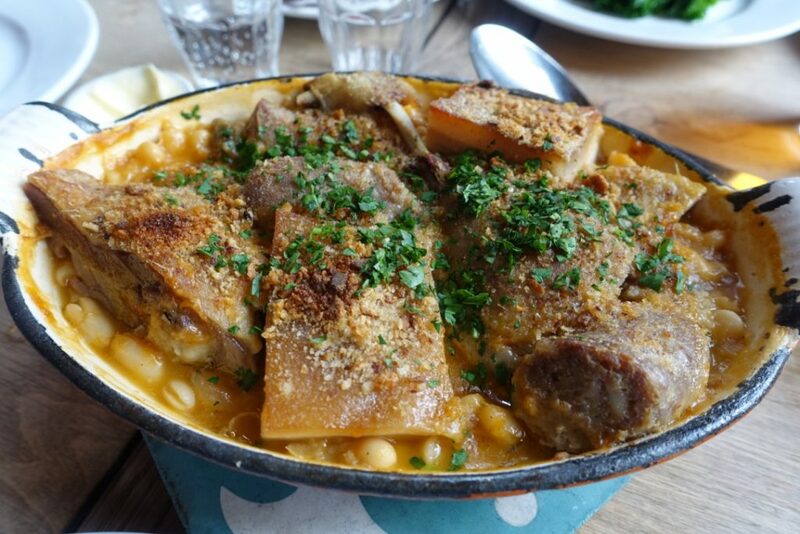 The cassoulet was a slow cooked cauldron of cold weather therapy. Great for sharing amongst two. (£35). It just wanted a touch more seasoning to bring it all together. 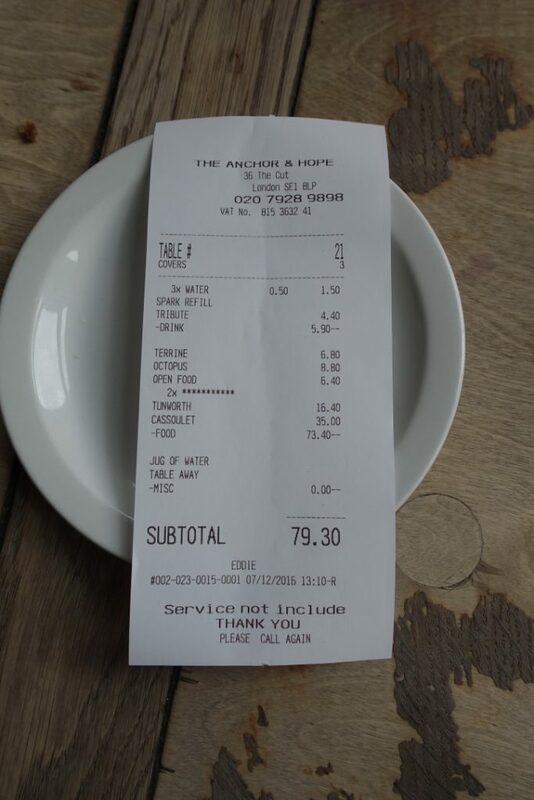 The damage: Expect to pay £25-30 per head with a drink. 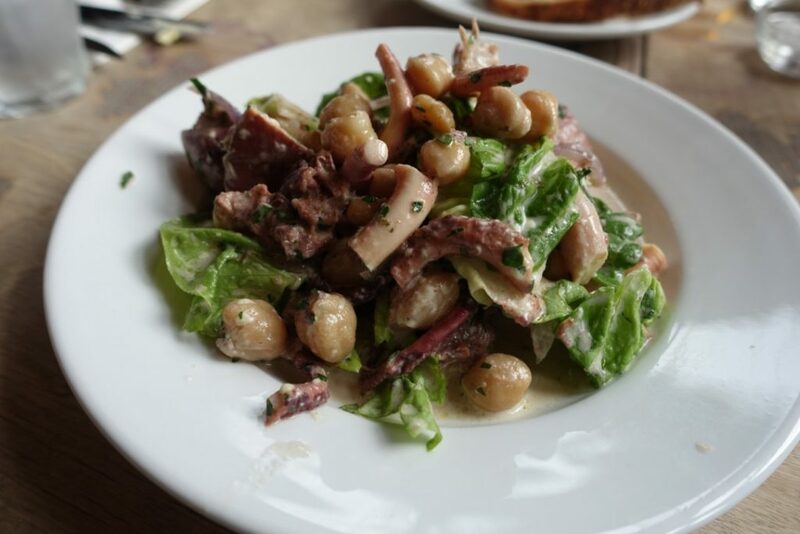 The good: With a boozer that serves goodness like this, there’s no need to dodge Waterloo anymore. 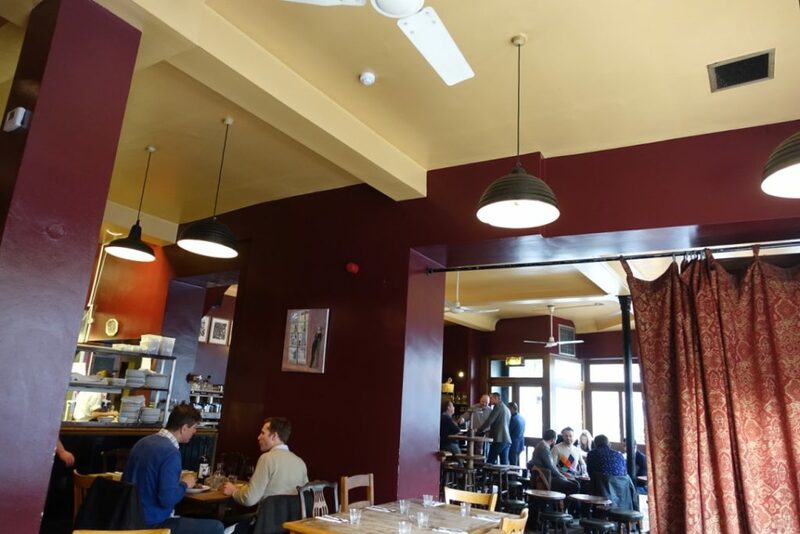 The food I tried was heart-warming, as was our waitress, she was full of beans and grinned ear to ear. The bad: Not much to grumble about really aside from the puny sized Tunworth. Would I go again? Yeah why not. 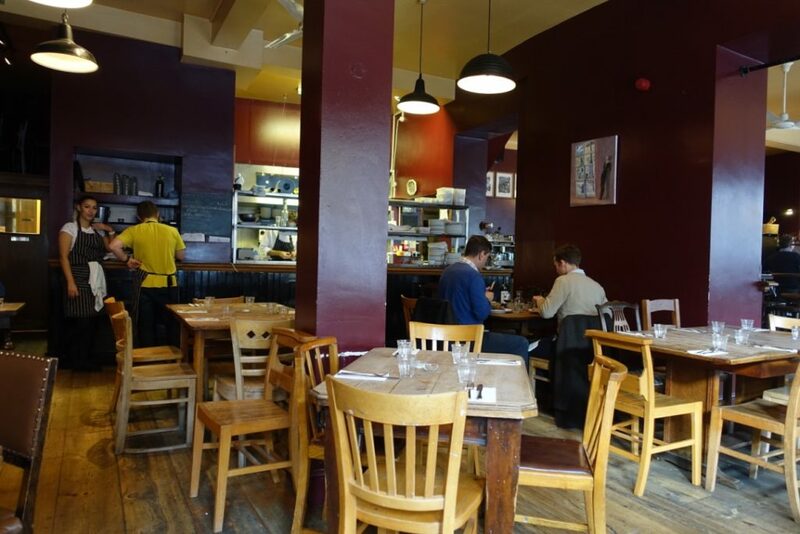 ← Le Dame De Pic – Restaurant Royalty?